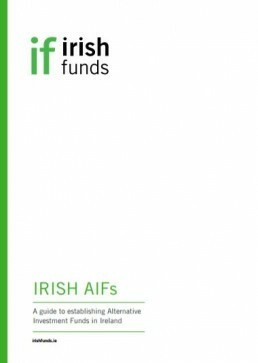 When it comes to setting up a fund in Ireland, whether its an AIF or a UCITS, there are a number of discrete steps to follow depending on the fund structure selected. There are a number of factors to consider when making this decision including the location of target investors and the investment policy of the fund. UCITS are open-ended funds and may be established as a Unit Trust, ICAV, Common Contractual Fund (CCF) or Variable or Fixed Capital Companies. AIFs can be established as a Unit Trust, ICAV, Common Contractual Fund (CCF), Investment Company or Investment Limited Partnerships. For further details please see Fund Types and Legal Structures. The Central Bank of Ireland (CBI) is responsible for the authorisation and supervision of all collective investment schemes (i.e. both UCITS and AIFs). The authorisation process varies depending on the fund type selected. the approval of service providers as noted above for both UCITS and AIFs. the approval of UCITS documentation - applications to the CBI must include the prospectus, instrument of incorporation, agreements with service providers, business plans and the fund's Key Investor Information Document (KIID). The KIID is a two page concise document which must be translated into the language of the investor and must provide basic detail on the fund's investment strategy, charges, past performance over 10 years and risks/rewards. The time frame for approval of a UCITS fund from confirmation of receipt of complete applications by the CBI to final approval is 25 working days. Please refer to the CBI for further details on the the Regulator's approval process for UCITS, including details of documentation required as part of the UCITS authorisation process. the identification of the key parties to the fund who must be approved by the CBI as noted above for both AIFs and UCITS. The Alternative Investment Fund Manager (AIFM), directors, investment manager/advisor,fund administrator, depositary and auditor must all be pre-cleared by the CBI. the submission of a detailed application form to the CBI, including the prospectus, the constitutional documents of the fund and the material contracts with the various parties to the fund (e.g. Depositary Agreement, Administration Agreement). The time frame for the approval of a Qualifying Investor Alternative Investment Fund (QIAIF) can be as short as 24 hours. Other funds can be approved in as little as 6 to 8 weeks. Please refer to the CBI for further details on AIF authorisation process and the documentation required. For entities seeking authorisation as an AIFM, the application process should take no longer than 3 months. Please see the CBI website for the authorisation process for AIFMs. Since September 2010, it is possible for investment funds established and operating in certain jurisdictions other than Ireland to re-register in Ireland. This fund re-domiciliation process ensures minimal disruption to day-to-day management and distribution of the fund. The legal framework seeks to avoid the imposition of unnecessary procedural hurdles and expressly recognises that, for Irish law purposes, a migrating fund will not be treated in Ireland as a new entity, so that its existing identity and track-record will be preserved. The new process also ensures that the administrative aspects of creating a new fund are eliminated, as are any tax issues that previously may have arisen on moving assets between funds. 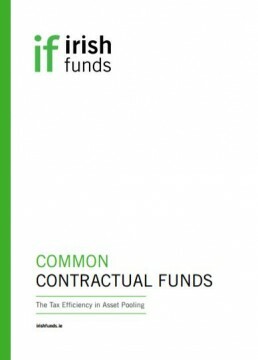 Read our guide to establishing alternative investment funds in Ireland. Find out about CCFs and key tax and non-tax benefits.